Anyone you send messages to as a part of a Campaign must have opted-in somehow to receive those messages. A Contact or Lead must have a "Mobile" number on their record to receive a text message - other phone numbers will not be used. Use of the SMS Campaign Component requires users to have access to the "Twilio Messaging" folder in order to display potential deliverability ratings. If a user does not have access to those reports, the componenet will display an error. Step 1: Navigate to one of your campaigns. In the top-right corner, click on the gear icon and then click on "Edit Page". Step 2: In the sidebar of the lightning editor, click on the "Twilio - Bulk Message Builder" component and drag it onto the page layout. 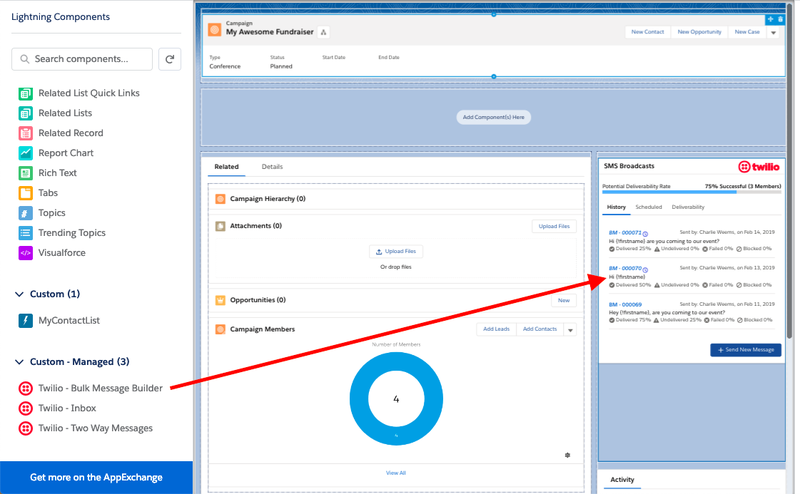 Note: if you don’t see any custom custom components, you probably need to enable MyDomain for your Salesforce Organization. 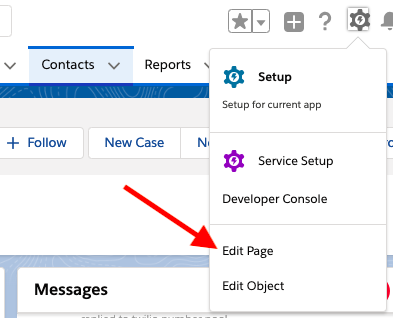 You can read more about enabling MyDomain from Salesforce's documentation. Step 3: Click “Save” in the top-right corner.